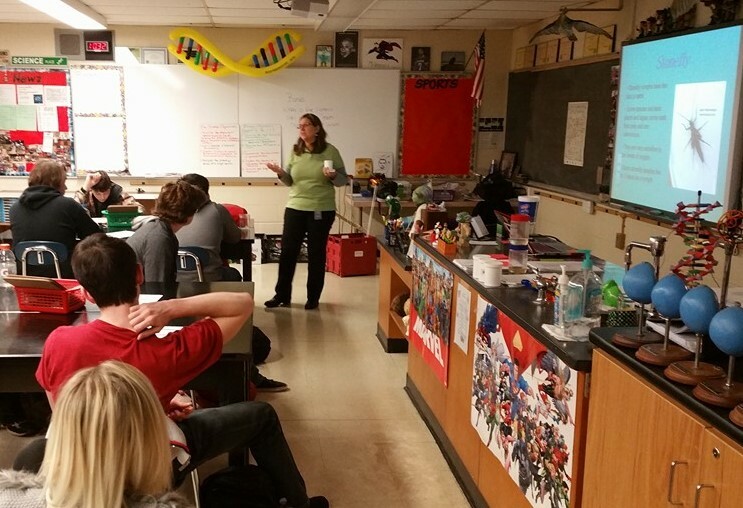 This past week, the Warren County Water and Soil Crew visited Mr. Vinson's Environmental Biology class to prepare students for their spring trip to a local stream located behind the school. The students had the opportunity to look at micro-invertebrates that live in the local streams, and discuss the health of streams in the area. In the spring, the class will make the trip to the stream and determine if it is healthy or polluted. Earlier in the year, the students went to the stream to test pH, nitrates, ammonia, lead, phosphates, and other contaminates that might be affecting the stream. This year-long project fulfills Mr. Vinson’s desire for students to understand their own natural surroundings and see the practical applications of course content.